You are being watched, tracked, and recorded by corporate and government entities whenever you go online. Here you will find the tools and information you need to restore your privacy, secure your devices, and defeat online censorship. Welcome to Restore Privacy, your online resource center for honest and in-depth information about online privacy and security topics. 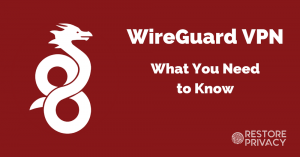 Here you will find a variety of guides to help you restore your privacy and secure your devices – whether you are new to these topics or a seasoned expert. 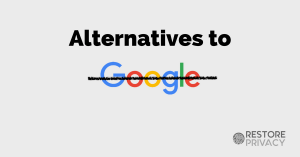 At Restore Privacy, we do things a little different: no ads, no invasive tracking (Google Analytics), no paid reviews, and no paid content. Restore Privacy is fully independent and we do not have any ownership stake in the products or services we review and recommend. Rather than covering news stories, we instead focus on publishing in-depth guides that are regularly updated based on real test results and the latest information. 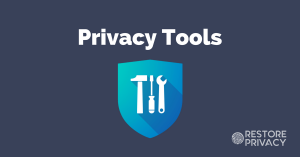 Nearly all of the behind-the-scenes work at Restore Privacy involves testing and researching different privacy tools for our free guides, which are open to everyone and not locked behind membership walls or email signup forms. The goal here is simple: to provide you with all the information you need in an age of eroding privacy. Thanks for stopping by. Is Your Antivirus Software Spying on You? At this very moment you are being tracked, monitored, and recorded by various government and private entities around the world. Private companies, such as Google and Facebook, are gathering as much of your data as possible to hit you with targeted ads and influence your purchasing decisions (behavioral modification). Government entities, such as the NSA and GCHQ surveillance agencies, are bulk-collecting your private data for various purposes. You live in a world of total surveillance that is carried out with the close cooperation between private companies and state agencies – see the PRISM program for details. Fortunately, there are effective solutions to these problems that you can begin implementing right now. Using a secure browser that protects your privacy is absolutely crucial to stay safe and secure online. Your browser may contain vast amounts of private information, such as all the websites you visit (browsing history), login credentials, personal information (autofill details), as well as system data and location information. 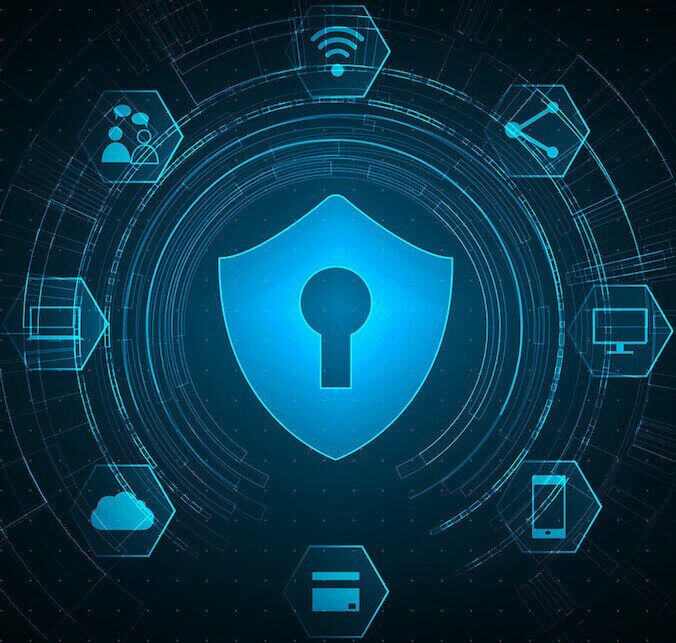 This information can be exploited by hackers or simply collected by the browser itself – such as with Google Chrome, Opera, or Microsoft Edge. 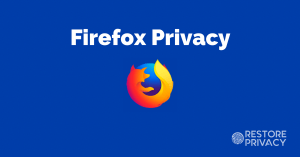 Firefox is a great browser that can be configured for more privacy and security – see the Firefox privacy guide. Other good browsers include Brave and Waterfox, which is a fork of Firefox that is more privacy-friendly. 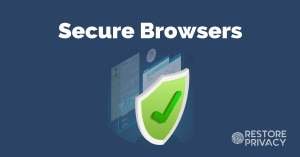 More browsers are also discussed in the secure browser information guide. Browser fingerprinting – It’s worth noting that your browser and operating system’s unique preferences and settings can also be used to track and identify you, which is called browser fingerprinting. To mitigate this risk, see the browser fingerprinting guide. WebRTC leak – The WebRTC leak is a vulnerability that can expose your real IP address through WebRTC stun requests, even when you are using a good VPN service. Check out the WebRTC leak guide to remedy this issue. 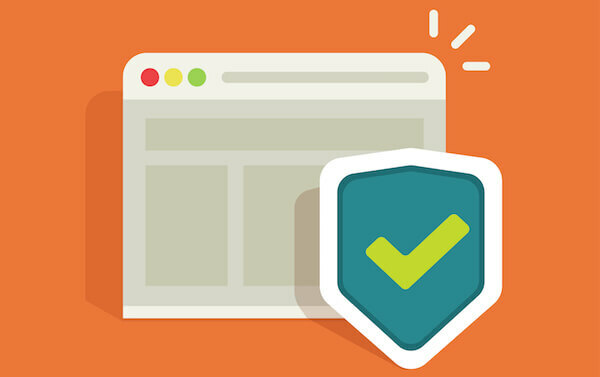 uBlock Origin – A powerful blocker for advertisements and tracking. HTTPS Everywhere – This forces an HTTPS connection with the sites you visit. Cookie AutoDelete – Deletes those unwanted tracking cookies. Privacy Badger – Another add-on from the Electronic Frontier Foundation, Privacy Badger blocks spying ads and trackers. 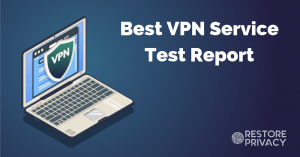 Pairing a good VPN service with a secure and private browser will go a long way to restoring your privacy. Whenever you go online without a VPN, you broadcast to the world your unique IP address, internet provider, and geographic location. This private information is being tracked/recorded by the websites you visit, advertising networks, government agencies, and other third parties. Every device that connects to the internet has a unique IP address, which enables third parties to track and identify you online. By default, you do not have online privacy. 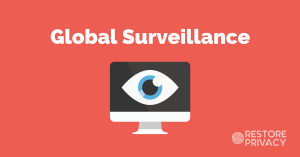 ISP Spying: Throughout most of the world, internet service providers (ISPs) are tracking and recording the browsing history of their customers. 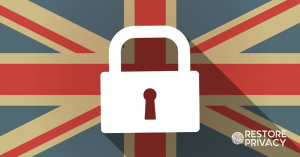 In the United States, Canada, Australia, the UK, and much of Europe, this data is provided to government agencies, where it may be stored for years (data retention laws). Since March of 2017, US internet providers can also sell the private data they collect to third parties (such as advertisers). Solution: A VPN (virtual private network) will restore your privacy be creating an encrypted tunnel between your device and a VPN server. This makes your online activities unreadable to third parties (including your ISP), since your traffic is getting encrypted and anonymized by the VPN. 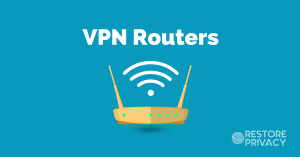 Additionally, a VPN replaces your real IP address and location with that of the VPN server you are using. A VPN is also a useful tool for getting around content restrictions and accessing blocked websites. 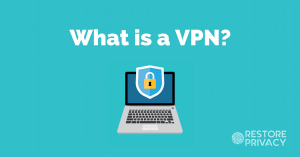 While this may sound complex, all you need to do is install a VPN app on your device and connect to one of the VPN servers. A VPN will encrypt and anonymize your internet traffic, as demonstrated in this graphic from ExpressVPN. Many ads function as advanced tracking, quietly recording your browsing history and online habits. The more data ad companies can collect about you, the more money they can make with targeted advertising. Blocking ads will improve your privacy and also page load speeds. Ads can also be malicious (malvertising) and therefore a security risk. Because ads are fed in through third-party domains that can be hijacked, they are an easy attack vector and can infect your device as you load a website – no clicks required. Browser add-ons – These work as extensions through your internet browser. One popular option is uBlock Origin. The drawback however, is that these only work with supported browsers. 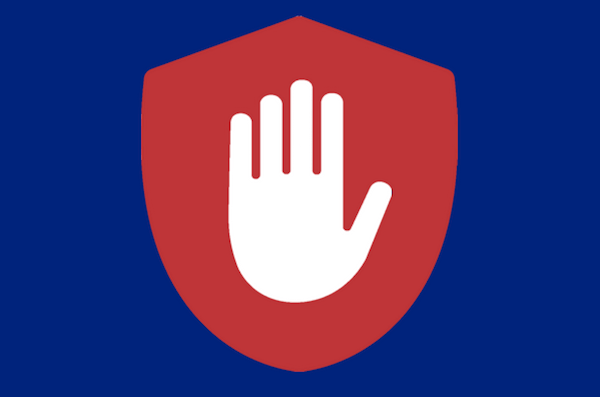 VPN ad blockers – You can also block ads through a VPN service. 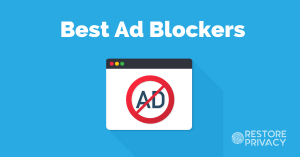 There are a handful of VPNs that offer ad blocking – check out the VPN ad blocker guide for more information. 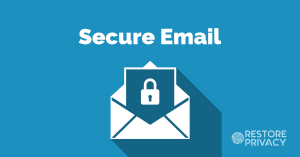 Many secure email providers offer free plans up to a certain storage limit, which allows you to setup a new email account in just minutes. 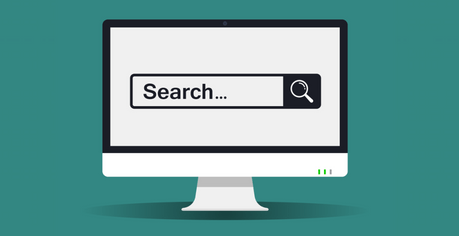 Searx – A very privacy-friendly and versatile metasearch engine. Qwant – A private search engine based in France. Metager – A private search engine based in Germany. DuckDuckGo – DDG has a long history of being a great Google search alternative, but they do record search terms and are partners with Yahoo. TeamDrive – This is a business-oriented cloud backup and file synchronization option based in Germany. Tresorit – This is a user-friendly cloud storage option based in Switzerland. They offer client-side encryption, but also utilize Microsoft Windows servers, which is one drawback. Nextcloud – Nextcloud is an open source, self-hosted file share and communication platform. They are based in Germany. Sync.com – Based in Canada, Sync.com offers a secure, encrypted cloud storage solution for businesses and individuals. Of course, you can also encrypt you files and store them locally. One good option for this is VeraCrypt, which is available for free and supports Windows, Mac OS, and Linux. KeePass – KeePass is a free, open source password manager that keeps all passwords secured in a database that is locked with a master key or key file. Support for: Windows, Mac OS, Linux, iOS, Android, and BSD. LessPass – LessPass is a free and open source password manager that will also generate unique passwords. Support for Windows, Mac OS, Linux, and Android. Bitwarden – Bitwarden is another great open source password manager that is free and easy to use. Bitwarden can be used on all major operating systems and browsers. As a small website operating on a limited budget, we need your support. We refuse to host ads on the site, because that violates our readers’ privacy while also being a security risk. Donation options were also added, but practically nobody donates. Therefore to cover the costs and support the livelihood (and families) of those working on the site, Restore Privacy has a select few affiliates that align with our mission and commitment to transparency. This means that when you purchase items through links on the site, we may earn a small commission (at no additional cost to you). 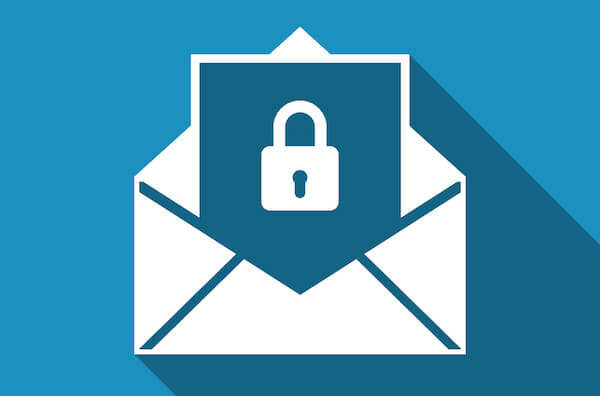 If you have any additional suggestions or want to send us a tip, you can use our secure communication center for anonymous end-to-end encrypted communication. Restore Privacy was created to provide you with honest, useful, and up-to-date information about online privacy, security, and related topics. To help us spread the message and reach more people, please consider sharing our free guides and linking to anything on the site. See the mission.